This is our first Celtic Cask to get some Italian red wine finishing and it has spent its final maturation period in a Brunello di Montalcino cask from Altesino. 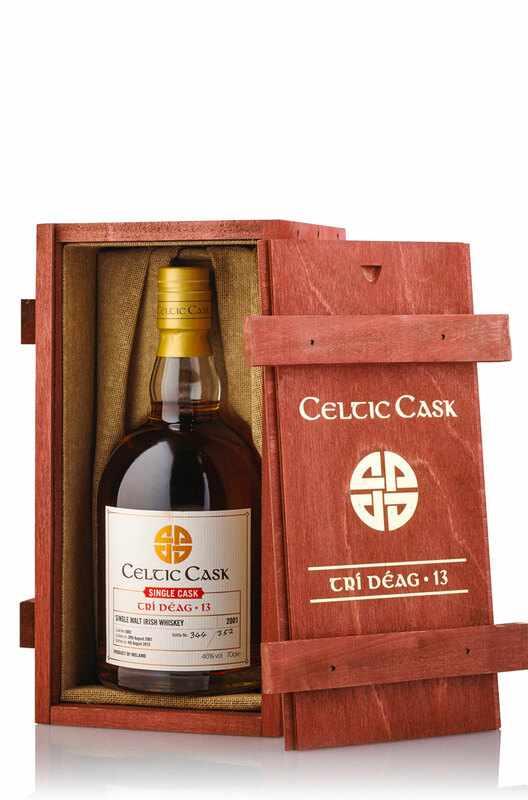 It was double distilled on the island of Ireland and initially matured in an ex-Bourbon cask for 11 years. It then spent nearly 3 years in the Tuscan red wine barrel before being bottled in August 2015. Nose Fresh fruit characters- tangerines, mango, marmalade, mocha, toffee and spice. Palate Fresh and fruity with raisins, figs, orange peel, mixed citrus and fresh aromatic grapes. Finish Well balanced. The wood influence is very well integrated. Colour Bright gold with a slightly orange tone. Types of Barrel used for Aging Initial maturation in an ex-bourbon barrel followed by nearly 3 years in a Brunello di Montalcino cask from Altesino.